Join Kyle from Daybreak on his 2015 Colorado Mule Deer Hunt. Follow along with Donnie Vincent to “The Other Side”. This new film release covers Donnie’s amazing 5-year journey bowhunting bears. Follow Zach Wusstig and Dusty Janc on a mule deer hunt in the backcountry of Nevada. Join Chad Maves in Wisconsin as he looks to harvest a mature buck. Follow along as the Born and Raised Outdoors crew has some intense elk encounters and Corey Jacobsen runs into a potential key opportunity for a harvest. Mark Grupe shifts back to hog hunting along with Kyle Alton, Joseph Goncalves, and John Naipo. Join Out West Outdoors in episode 3 as Zach Wusstig and Dusty Janc travel to hunt Aoudad sheep in Texas. 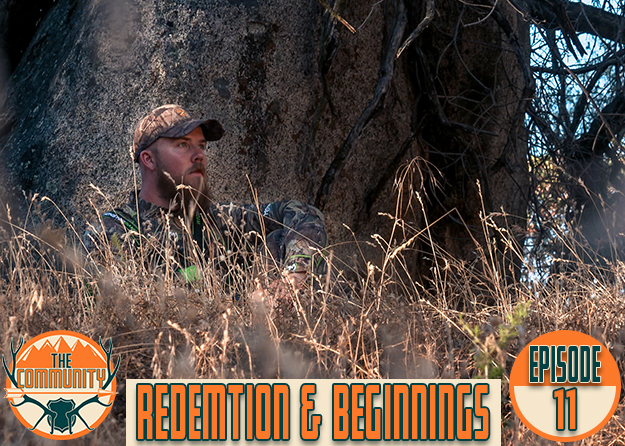 Join Embrace The Harvest as they share another exciting Colorado elk hunt. See how the crew’s perseverance continues to bring them success. © 2019 HUNTERVIDS, LLC. All rights reserved.